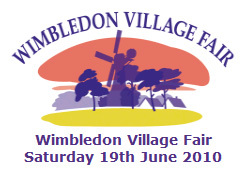 This year’s Wimbledon Village Fair & Horse Show takes place on Wimbledon Common on Saturday 19 June. Haydon the Womble will be making several appearances at the AFC Wimbledon stalls during the day. The horse show begins at 9.00 am and the fair runs from 10.30 am to 5.30 pm on Wimbledon Common Southside – entry is free. It will be officially opened at 11.00 am by Annabel Croft, the former professional tennis player and now television presenter. There will be stage entertainment all day, with 200 craft and product stalls, a food village, a farmers’ market, and lots of fun activities for all the family. Local football club AFC Wimbledon will have a significant presence at the fair, including a merchandise stall and a Community Football Scheme stall and activities, with appearances from club mascot Haydon the Womble. Find more details on the Wimbledon Guild website. Wombles albums reissued for Christmas?